How to backup your InnoDB Cluster ? MySQL InnoDB is more and more popular. The adoption of it is even faster than I expected. Recently, during my travel in Stockholm, Sweden, a customer asked me what was the best practice to backup a cluster. I already covered some information related to users password recently (see this post and this one). 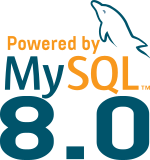 Today, let’s have a look at the password management features available in MySQL 8.0.